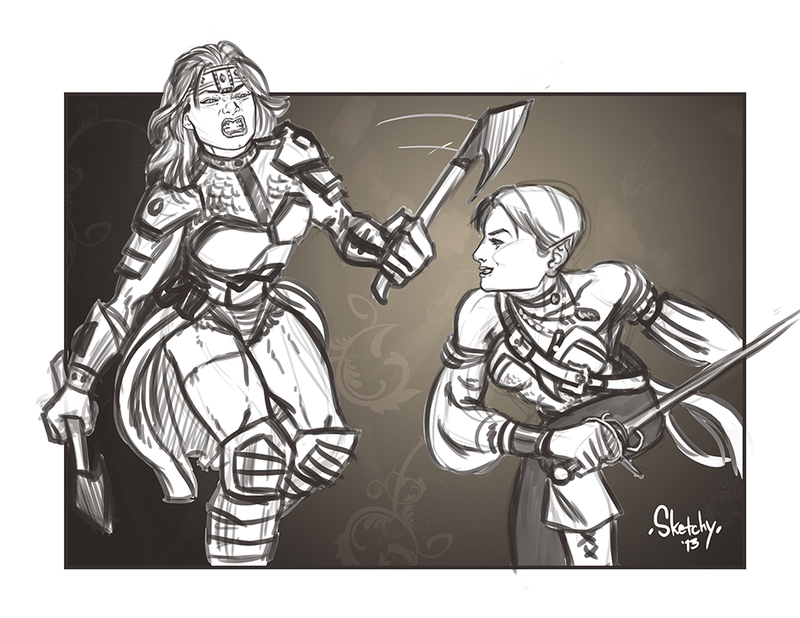 Finished this up. I’m very pleased with the result. 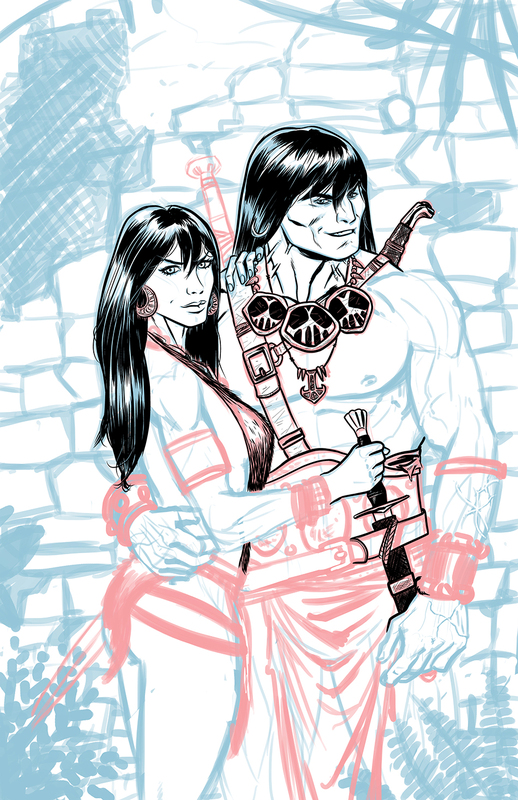 Here’s a work in progress of a Conan and Belit piece I’m working up for a pummel competition at penciljack.com. On a whim, I chose to put them in their classic Marvel comics garb. 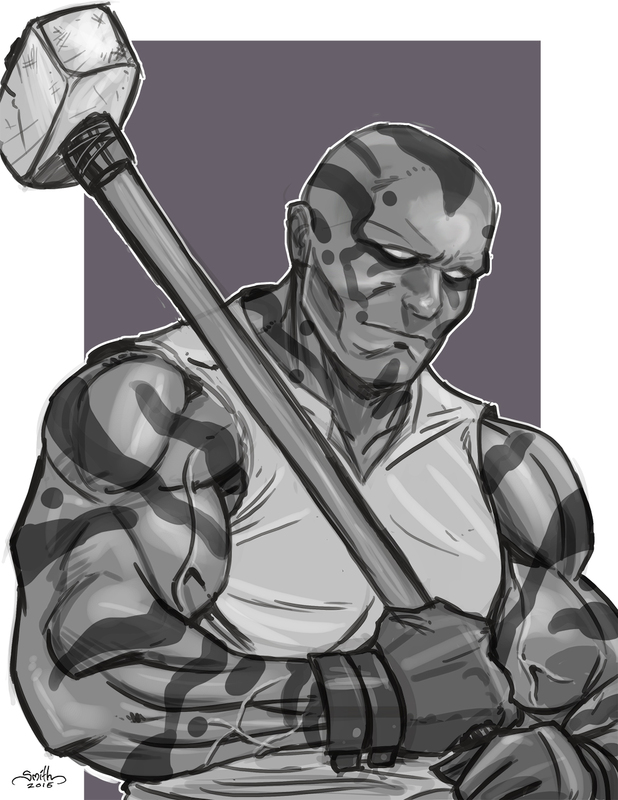 I’m pretty pleased with it so far. 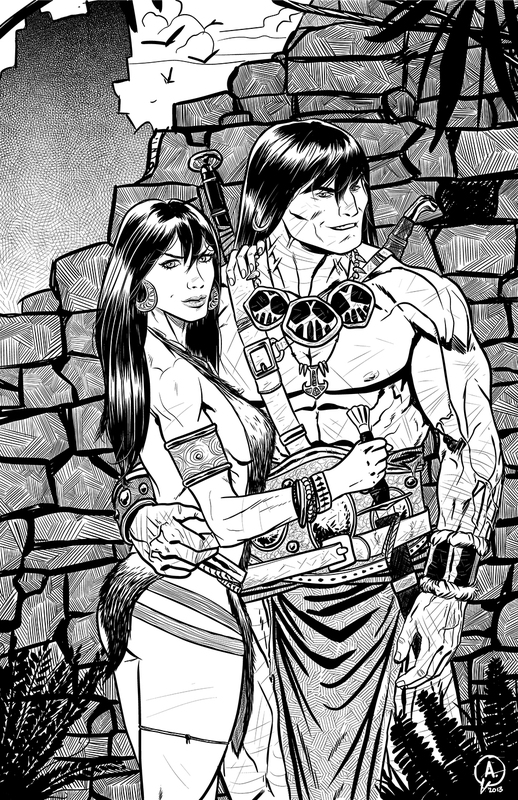 I’m getting plenty of work at my Fiverr.com page, here’s yet another commission. 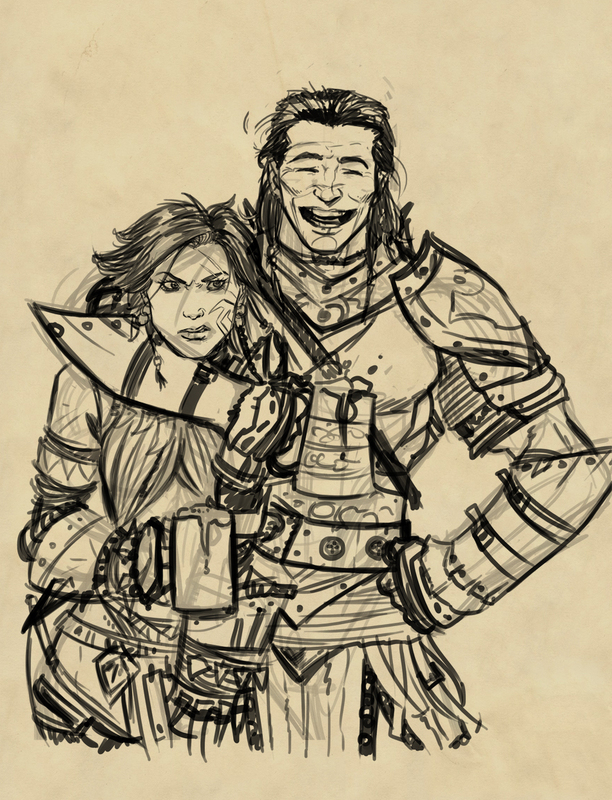 I’m getting pretty excited about the Pathfinder comic coming – so here’s a Valeros and Amiri piece I’m working on. 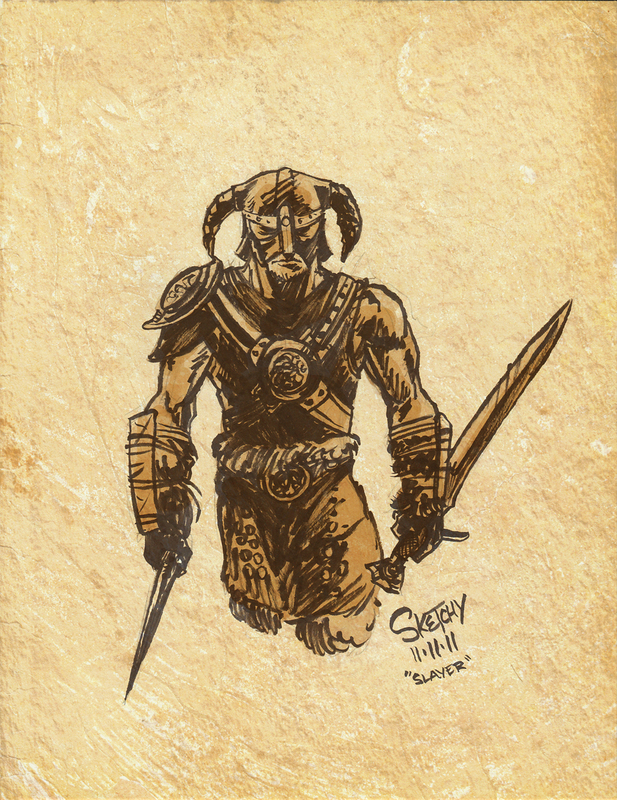 Another sketch I did for the Skyrim release, The Dovahkiin is called!